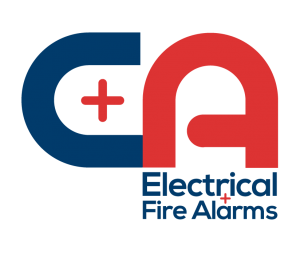 C & A, Inc. is a Maryland-based corporation specializing in Electrical and Fire Alarm remodeling construction. We are licensed and bonded with experience in commercial, residential, and government work in Maryland, Virginia, and the Greater Washington D.C. Metropolitan Area since 1977. Our company is staffed with skilled technicians who are continually trained to handle all types of electrical work. From changing out a receptacle to wiring an entire home or apartment complex, our knowledgeable and courteous staff can manage all of your electrical needs. Now is the perfect time to upgrade your electrical panel and interior lighting for your business. See why companies and business owners turn to C&A, Inc. for their electrical needs. Installations, Designs, Maintenance, Natural Gas. Most home generators are fuelled by propane or natural gas. We install both types and we can help you decide the best option for your situation. I own several commercial properties in the area and I have used MANY electricians to do work for me. C&A Inc. is by far the best by a country mile. If your tired of babysitting your current electrician and you want to work with some real professionals then I suggest you give these guys a try, I am very happy I did. Constantine and his family are great to work with. They are responsive, honest and helpful. They helped me determine the most economical way to fix a botched job by a previous electrician that would satisfy DC code but not cost and arm and a leg. I was grateful to find them through consumer checkbooks. We used C & A for electrical work involved in remodeling kitchen. They were everything one could hope for in a contractor — professional, very clear about what tasks they would be performing and the cost, we strongly recommend them. It was a pleasure working with them. With over 40 years of experience in electrical servicing, we have the knowledge and capability to assist you with any need that may arise. Copyright 2018 C&A, Inc. All rights reserved.